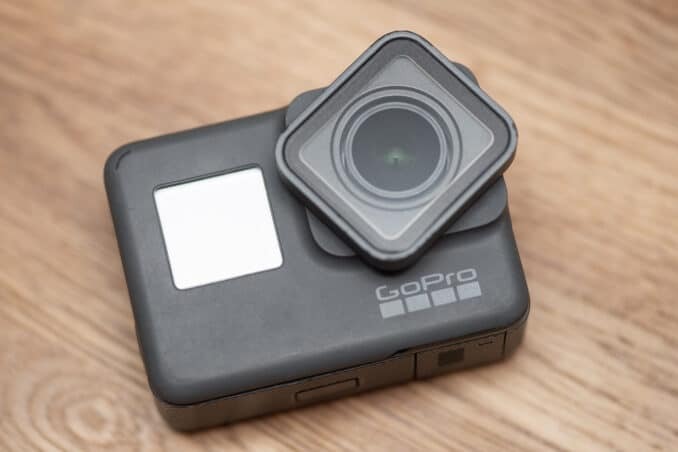 Here's a guide to removing and installing the glass lens port cover on the GoPro HERO7 Black, HERO6 Black, HERO5 Black, and HERO (2018). The GoPro HERO5 Black came with a new body design. 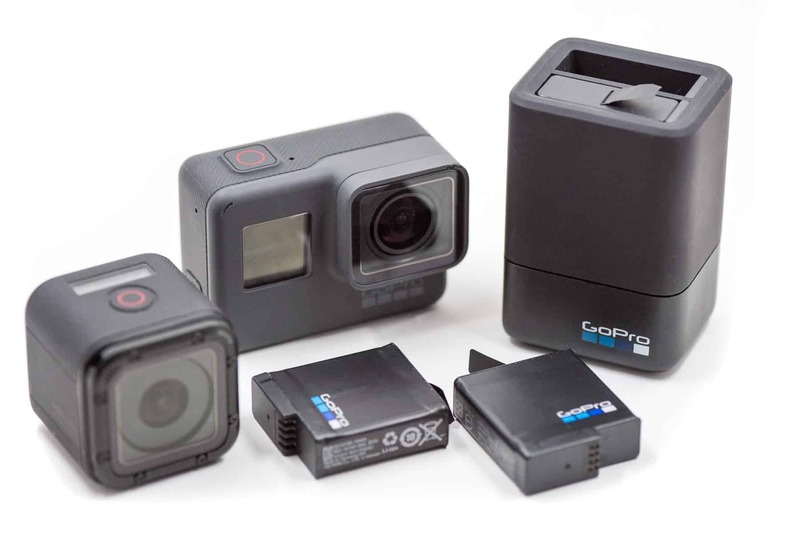 With the HERO4 and earlier models, you had to put them in a separate housing if you wanted them to be waterproof. 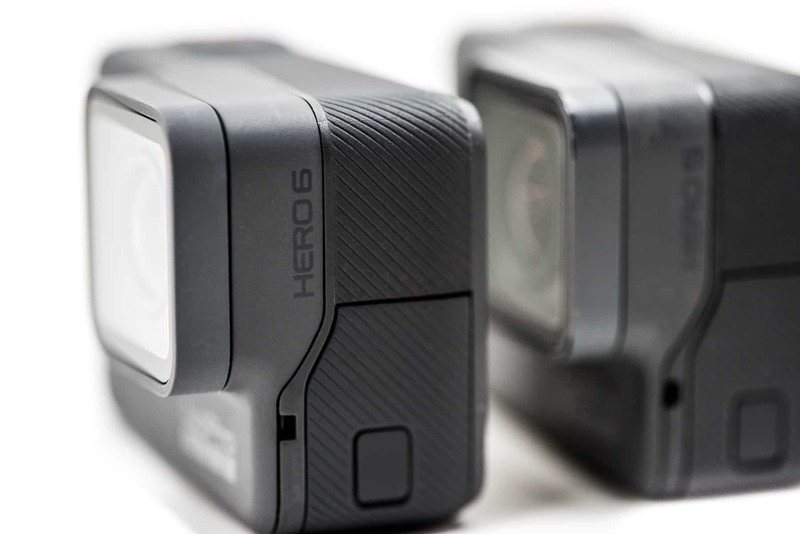 Starting with the HERO5 Black (or, technically, with the smaller HERO4 Session), the camera's body is itself waterproof. In the case of the Black, that meant rethinking how to seal the lens in while also keeping it waterproof. 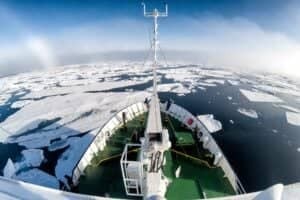 The solution they came up with is a protective cover that locks firmly in place over the main lens but also has minimal impact on the optical quality. But the catch is that removing it isn't really intuitive. 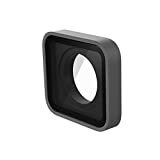 The lens cover is the square part with the flat glass window that acts as a protective layer over the main lens. When you first look at it, it seems like it mightn't be designed to come off. But it will, and you can replace it with a new one if the existing on is scratched or cracked. And yes, you can buy replacement lens covers), so scratching the lens cover doesn't mean you have to replace the whole camera. 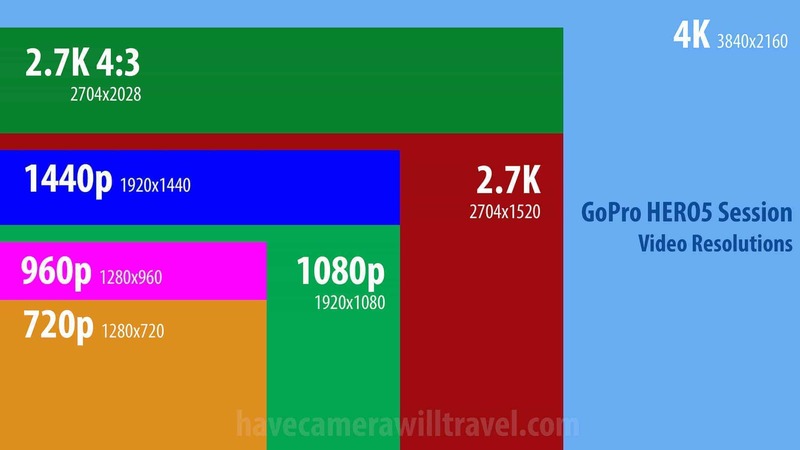 Another reason you might want to remove the lens cover is to use the camera in GoPro's SuperSuit. For the camera to fit in that housing you'll have to remove the lens cover first. 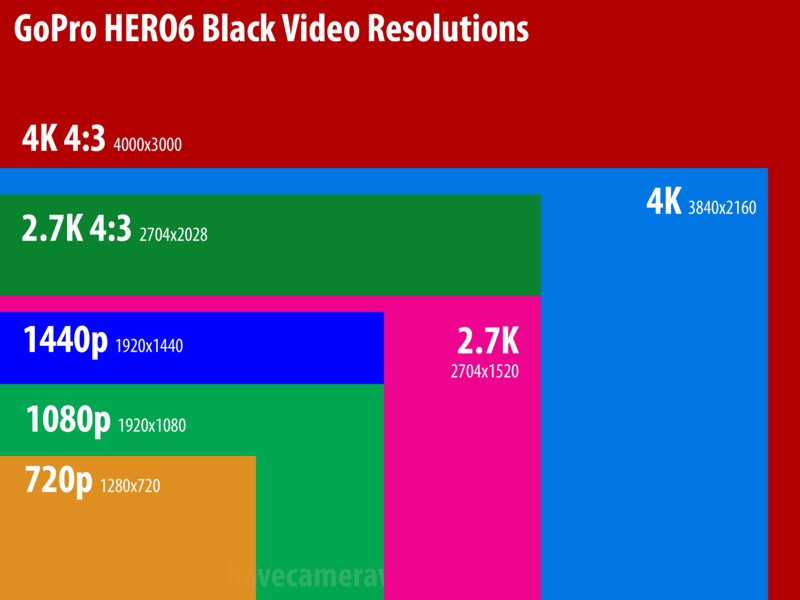 The photos here are of a HERO5 Black, but removing the lens cover on the HERO7 Black, HERO6 Black, and HERO (2018) works exactly the same way--they use the same body. But the HERO7 Silver and White don't have the removable lens port cover. Removing the lens port cover is a two-step process. First, you need to pull the port just slightly off the body so that there's a millimeter or so gap. Once you've done that, you can then twist the lens port off. But if you don't create that small separation first, you won't be able to twist it. There are different ways to tackle the first part. The objective at first is to create just a small gap, not pull the cover off it completely just yet. Using fingers. This works but can be hard to do, and I usually end up giving up and going with the next method. Gripping with your fingers on each side of the port, carefully but with some force pull the lens port directly away from the camera body. It will feel at first that it's not moving and you might be concerned that you'll break it, but you have to use quite a bit of force to pull it out. 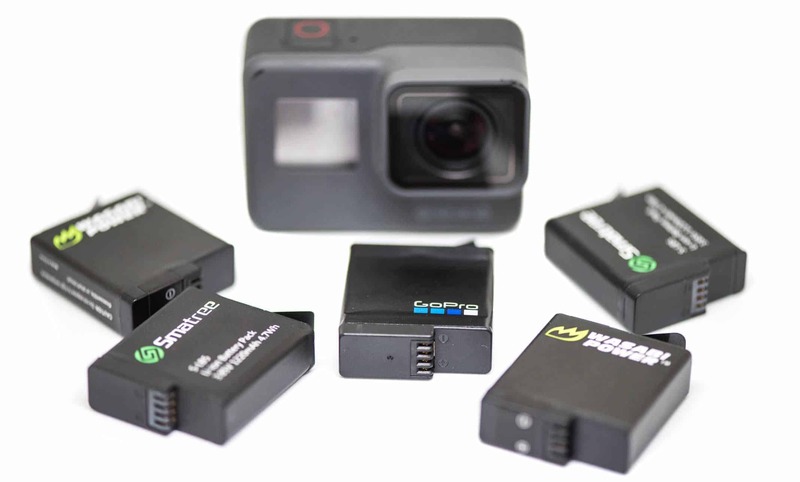 What you're looking for is a millimeter or so gap between the port and the camera's body. Using a credit card. This is my preferred method. Wedge the edge of a credit card between the lens port and the camera body. Carefully rotate the credit card around the port to create a gap all the way around. A credit card seems to be about the perfect thickness. I've found that some other cards, like my library and shopping cards, are too thin. Wedge a credit card in there gently and twist it around the lens. Using tools. While this gets the job done, I don't recommend it because of the risk of scratching your camera up. But if you have some very thin tools, like a couple of small screwdrivers (or yes, a knife blade--but please don't cut yourself! ), you can pry the lens port apart slightly to create that separation. You can also do it with a pair of pliers, but the chances of scratching the camera up are much higher. Once you have a small gap around--maybe a millimeter or so--you can move to the next step. Now things get much easier. Just twist the lens port a quarter turn in either direction. Give it a quarter turn in either direction. The cover will then slide easily right off as the slots align on the back of it. The lens itself will now be exposed. With the lens exposed you can see the grooves that make you twist and lock the lens port cover. Installing a new lens port cover--or reinstalling the existing one--is simply the reverse of the process. With the cover rotated a quarter turn from the body, slip it back on. It should align with the holding grooves. While pushing the cover back towards the body firmly, rotate the lens port back into place. Make sure it's going on evenly--it's possible to lock it into place on only one side, in which case it's not properly attached. You'll hear a solid click when it's locked into place. Make sure it's locked flush all the way around. It's pretty easy to click one side in and have the other still out, in which case it's not properly installed (but will also be obvious when you look at it). The first time you try this, it feels like it's not going to come off or that you might break something. But the system is quite solid, so it's quite hard to do any damage (so long as you're not forcing it with tools). Be extra careful not to get fingerprints or dust on the exposed lens. While the lens is exposed, don't lay the camera down on its front. The front of the lens is curved, and although it's glass, it can still get scratched pretty easily. When you're installing the cover, make sure that there's no sand or grit caught in there that can cause issues with the waterproof seal or jam the lens in place. And, finally, if possible it's a good idea to install the new lens cover in dry conditions such as an air-conditioned room. 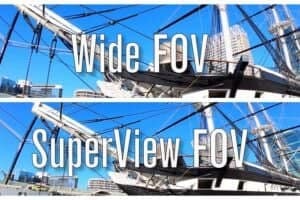 The reason is that if you do it in humid or damp conditions, such as out on a dive boat, trapping humid air in there might cause the lens to fog up, and there's really no way to use anti-fog inserts with the protective lens cover. In reality, this isn't a huge issue in this case for the simple reason that there's not much air that can fit in that small space anyway, but it makes sense to minimize the risk of fogging if you can.